"Through An Eastern Window" is a figurative work of art. I began this painting with a contour drawing of the model in my studio. 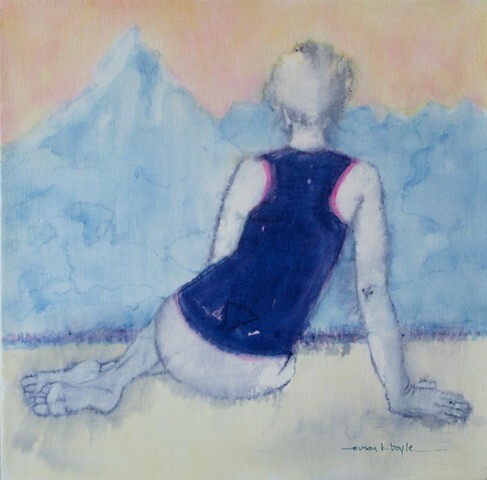 My goal was to situate this contemplative figure in a serene background by using subtle colors in the composition. The background features Mt. Noshaq from the model's homeland. This artwork is on heavyweight paper which I had mounted on gallery wrap canvas. It is ready for display with no framing required. The sides are white.